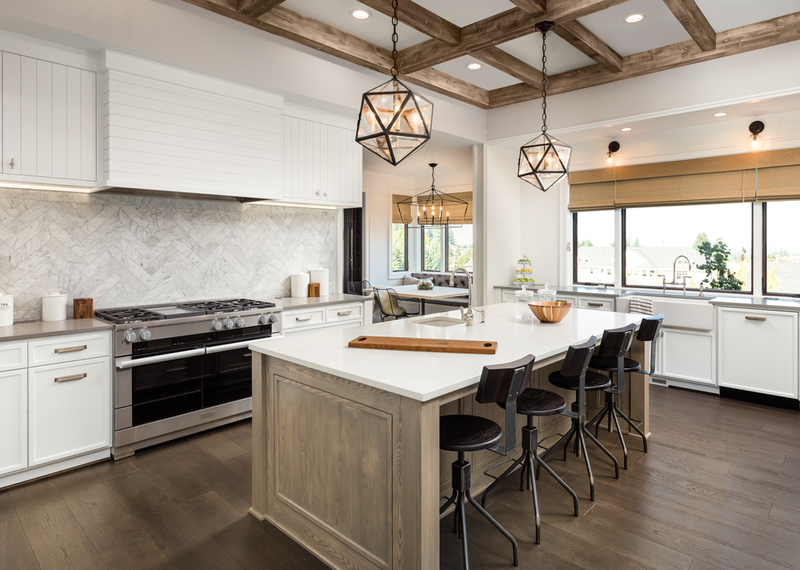 Whether you’re renovating your home or designing an entirely new one, there is one space that can test even the best of us: the kitchen! Your kitchen’s layout is one of the most challenging interior spaces to design. And there’s a simple reason why: it has to look great, but be practical and functional too. Striking that balance is where a lot of people go wrong. Lean too far to one side and you get a great looking kitchen that’s virtually unusable or a user-friendly kitchen that’s not too easy on the eye. Luckily, that’s all changing thanks to a simple formula that will bring out the best kitchen design layouts you’ve ever seen. And here’s an overview! Consider the basic elements of a good kitchen design layout: what are they? You couldn’t use a mathematical formula without a firm grasp of its components. And the same goes for our kitchen design layout formula – you really need to get to the bottom of what it involves. As we mentioned, the best kitchen designs incorporate design and practicality, in equal parts. In terms of design, we are talking colour schemes, choices of material, appliance designs and geometry. In terms of practicality, we are talking bench space, storage capacity, floor plan, lighting and quality. That’s essentially the basis of a successful kitchen design. All you need to do is find the right balance – and there’s a trick to that too! Your kitchen design has to integrate with the layout of your home – this is how that can happen! Before you embark on your kitchen design project, you need to work from the outside in. And that means considering the layout of the rest of your home. For example, you need to integrate your kitchen design layout, with that of your dining room and living room. If you’re going open plan – work your kitchen’s layout into the broader interior of your home. A great way to do that, believe it or not, is with lighting. Use lighting strategically to create subtle boundaries and defining your living spaces to accentuate their strong features. Design is a creative outlet, and your kitchen design layout is no different. But remember, it needs to be practical too. Your kitchen needs to have plenty of space and an effective floor plan. Consider how you move when you’re cooking, for example. Chances are, you rush between the bench, the fridge, the pantry, and the stove. So make it easy for yourself and ensure that your design layout allows for free movement between all these corners of the kitchen. But don’t abandon your creativity – not at all! Work it in to develop creative solutions that look great, make you feel good, and contribute to the practicality of your kitchen space. Subtlety can really define your kitchen and its design layout. There is no end of possibilities when it comes to subtlety in your kitchen. But one of our favourite foolproof formulas involves lighting. Lighting is a powerful tool in the kitchen because it’s both practical and ambient. Our advice: use it strategically to highlight what you want people to focus on. It will then draw their attention subconsciously to that feature, without intrusion. It’ll also make it far easier to work in the kitchen! Planning and experience are the basis of all great projects: don’t be afraid to call in the experts! If you’ve got all the basics together and you’re trying the make them all mesh, don’t be afraid to ask for help. Kitchen designs can be challenging, and only experience will make you better. That’s why it pays to get some expert advice. Not only will it ensure a higher standard of quality, but it can also open up design and layout possibilities that you hadn’t considered previously for your kitchen. Contact us on (07) 4132 7755 for more information!